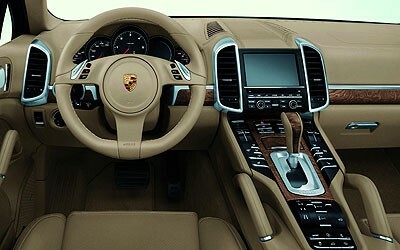 The 2011 Porsche Cayenne S hybrid luxury SUV is a study in the art of compromise. This is fascinating, because Porsche built its reputation on a dogged, heels-dug-in, Germanic refusal to compromise. Porsche ferociously believes that the driver's only job is to drive, and that its purpose on Earth is the pursuit of speed. It took the automaker more than a decade to smell the cappuccino and put cupholders in its cars. And when it did, its engineers were so look-what-I-did-in-school-today proud that only an exceptionally heartless soul could tell little Siegfried this was the ugliest vase anybody ever brought home from art class. Anyway, Ziggy probably heard the stream of invective across the Atlantic the first time the cupholder dumped steaming java on an American lap. The Cayenne S hybrid's cupholders are fine, by the way. That's not the point. The point is that Porsche's first hybrid is not the fastest, least-expensive or most fuel-efficient big luxury SUV, but it's probably the best all-around vehicle in its class. 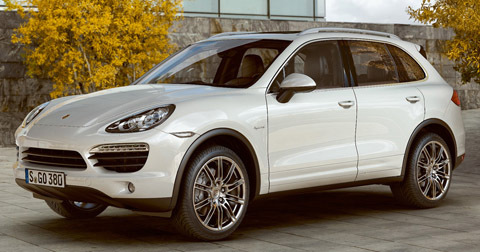 The Cayenne hybrid effectively balances performance, fuel cost and practicality to lead the pack. EBAY turbos? T3/T4 (t40e) hybrids .... are they worth it?